Time - Don't waste time doing the research that we have already done. We have the ability to expedite repairs that normal customers may not. We understand your busy work schedule and we'd like to make your lives easier. 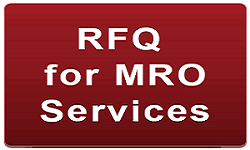 Quality- Each MRO facility that we choose to partner with has gone through an extensive qualification process. Many of these are well known companies that you may have heard of. Price - Since we generate increased business with them, we receive tier one pricing that we can pass along to our customers. Customer Services - WE CARE ABOUT YOU. We want to make your transaction as smooth as possible. We can have labels generated for you, all you need to do is put it on the box and ship it away. We will have customer service reps assisting you every step of the way. Timely updates will be sent via email/phone call.